For the past 8 months, City Council has been developing an ordinance to expand the permitting of co-operative houses into low density, single family neighborhoods. This has caused a lot of pushback from neighborhoods. Why the pushback? Communal living such as co-ops and boarding houses are already allowed in certain higher density zoning districts, but not in low density single family neighborhoods. That makes sense; low density zones have low density occupancies and high density zones have high density occupancies. So, the controversy surrounding this ordinance isn’t about co-ops per se, it is about City Council’s intention to allow high density occupancies (in this case, co-ops with 12 occupants) to encroach into low density zoning districts, and the consequent disruptions caused by the traffic, parking and noise of having 12 or more people living 10 feet away in neighborhoods not designed for such. For decades the city has restricted occupancies in low density single family neighborhoods to 3 unrelated people. If Council passes this ordinance, they will be expanding current occupancy limits by 4 times. There is a social contract engendered in the zoning, and people in these neighborhoods made life and financial security decisions based upon reasonable expectations that high density occupancies will not encroach into low density zones, tear at the fabric of their neighborhoods and threaten the values of their homes when 12 or more people are living 10 feet away. With this ordinance, Council purportedly endeavors to expand affordable housing options. But, it is unclear what the currently proposed ordinance achieves. It gives special treatment (allowing high density occupancies in low density zones) for a privileged group of landlords. At the same time, Council is hostile to including provisions in the ordinance that will ensure permanent affordability for co-ops such as rent caps for rental co-ops and deed restrictions for ownership co-ops. It is a myth that this ordinance will expand affordability options. If you tell landlords that they can now rent houses to 12 or more people when they are currently limited to 3, does anyone really believe the rents won’t increase? Significantly? It is the very illegality of the over-occupied, black-market houses that suppresses their rents relative to what they would be if legal. That is why there is the current proliferation of illegal co-ops and other black-market houses and why black-markets exist, generally. It is why undocumented workers or unlicensed contractors are cheaper, because both sellers and buyers benefit from the illegitimacy. With this ordinance, Council will in fact cause a reverse effect by creating an exclusive commodity that will command a premium. Illegal coops and other black-market houses will continue to be cheaper than their legal equivalents and thus will persist. City Council will only have succeeded in creating a new problem without solving the old problem. There will be two systems of high occupancy housing, illegal and legal. To mollify neighborhood concerns, Council has offered neighborhoods the promise of vigorous enforcement against black-market houses concurrent with passing this ordinance. But I have yet to meet anyone who believes the city will effectively enforce illegal over-occupied houses given the City’s long history of poor enforcement, and more recently, of ineffectively enforcing the Airbnb ordinance. And will Council really start kicking thousands of people out of their illegal group houses as they have said they will? Neighborhoods have very little confidence that Council has thought this through adequately but understand they (neighborhoods) will pay the price. This ordinance, as proposed, is a great boon for landlords and investors and a boondoggle for neighborhoods, and an unfortunate example of zero-sum politics. With Council’s resistance to permanent affordability provisions and their ensuring that the ordinance’s benefits accrue to landlords and investors, Council demonstrates again that they are not serious about addressing housing affordability. They use it as a tool to enact policies to benefit the real estate industry at the expense of citizens, as with their recent adoption of affordable housing linkage fees. Council adopted fees that were less than 10% of the amount established as justified by the economic analysis. (Linkage fees capture the cost to society of the impacts on housing affordability caused by development.) By charging developers only 10% of the costs, the taxpayers are burdened with the remainder—a taxpayer subsidy for real estate interests’ profits. The consequence of this ordinance is little more than de facto upzoning of the type that ballot initiative 300 in 2015 was about. (Initiative 300 sought to prevent inappropriate upzonings in neighborhoods without neighborhood agreement.) It doesn’t achieve any stated affordability goals and causes disruptions, anxiety and distress to homeowners in single family neighborhoods. But it will be great for property investors. Limit maximum occupancy in low density residential zones to 6 unrelated people. This addresses the fundamental concern and disruption to neighborhoods and is a generous doubling of current occupancy limits. Higher occupancies can existing in higher density zoning districts that are designed for them (see next bullet). Allow co-ops in all zoning districts where non-low density housing is currently allowed and regulate the number of occupants according to existing zoning constructs. In certain medium and high density zoning districts where residential occupancies are allowed, the city code currently requires minimum amounts of lot square footage for each dwelling unit (DU). 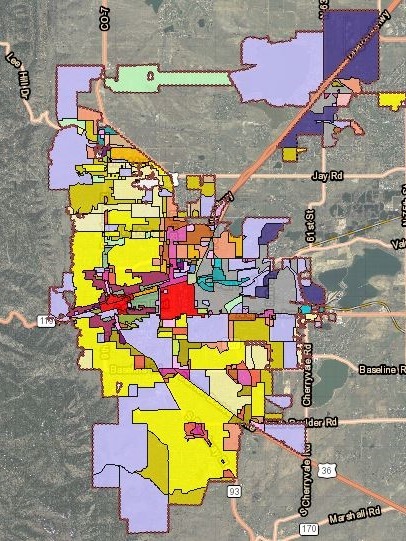 In other medium and high density zoning districts where residential occupancies are allowed, the code has minimum open space square footage requirements per DU. The city code counts efficiency units (defined as units under 400 square feet) as half a DU (2 efficiencies equal 1 DU). Two people sharing a 400 square foot efficiency would occupy 200 square feet each. Two efficiencies counting as 1 DU would equal 800 square feet. Using this existing zoning construct, the co-op ordinance should define co-ops in terms of DUs. A minimum of 200 square feet should be required per co-op occupant and 800 square feet of co-op should be defined as equivalent to 1 DU (1 DU can have 4 co-op occupants). This framework allows new co-op enabling code provisions to plug into the city’s overall zoning framework without necessitating changes to specific zoning districts’ regulations. ** Further, it enables co-ops to exist in medium and high density zones where they currently are not permitted, and in occupant numbers that are generally consistent with non-co-op housing types in those same districts. In other words, co-op occupancy limits should be reflective of occupancy numbers and densities of the zones where they are located and that those zones were designed for. Incorporate permanent affordability through rent caps on rental coops and deed restrictions on ownership coops. This can achieve the primary stated goal to create durable affordable housing options. Implement the ordinance as a 2 year pilot to prove it will work and that the city can live up to its promise to enforce illegal, over-occupied houses. A pilot will be a powerful confidence building measure. City Council has spent too much political capital and too many city resources on the co-op ordinance. Citizens need to contact City Council prior to the January 3rd final hearing and insist that Council spend its time and our money solving real problems and not creating new problems. Urge Council to adopt these changes (above bulleted) so we can have a balanced ordinance that the broader community can support. **For example, a 7000 square foot site in the High Density Residential 2 zone (RH-2), which requires 3000 square feet of lot area per DU, could have 2 DUs or 8 people as a co-op. Each of those DUs as a typical household type could reasonably be anticipated to accommodate 4 people (2 parents and 2 children) so the co-op occupancy or group house occupancy would be reflective of the density of that zone by design. A one-acre, High Density Residential 1 zone (RH-1) site which requires 1600 square feet of open space per DU could accommodate 18 dwelling units. Using this article’s co-op occupancy formula, 72 co-op occupants would be allowed. To put this into the perspective of an approximately standard, single family Boulder lot in a low density zoning district, a 7260 square foot lot (1/6th of an acre) using RH-1 criteria could have 12 co-op occupants. However, City Council is proposing the equivalent of RH-1 high density occupancies in low density zones. Not only is this incompatible with the single family residential neighborhoods, it is entirely unnecessary since co-ops can be compatibly accommodated in the higher density neighborhoods designed for co-op-like densities.